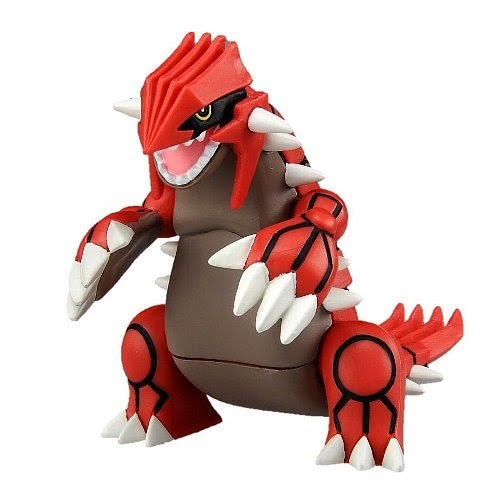 Pokemon figure Tomy Monster Collection AG series Groudon グラードン. Note: AG series number 199 & 383. 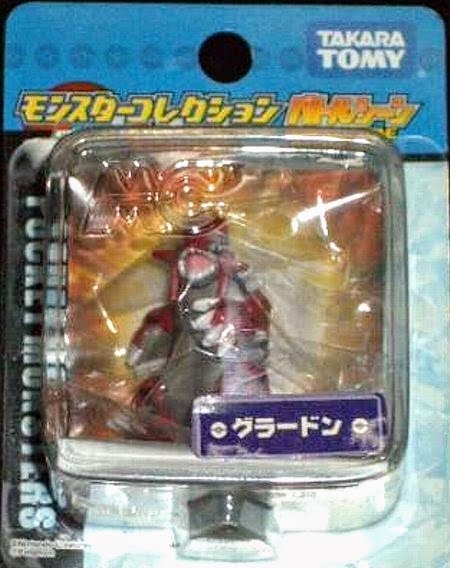 Clear version in 2003 Movie promotion. Red clear base. 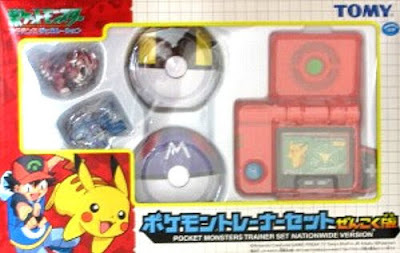 Same pose in Pokemon AG Trainer set. 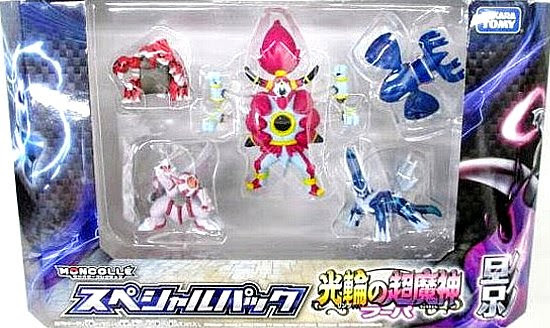 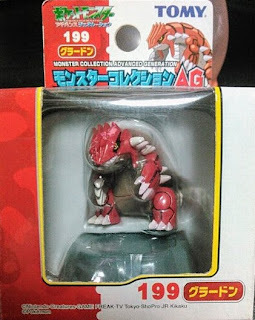 Clear version in AG 6 pcs figures set. 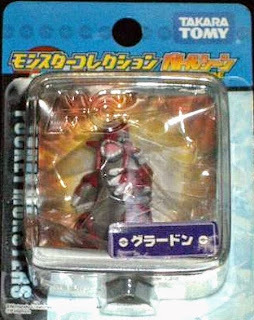 Gray clear base. 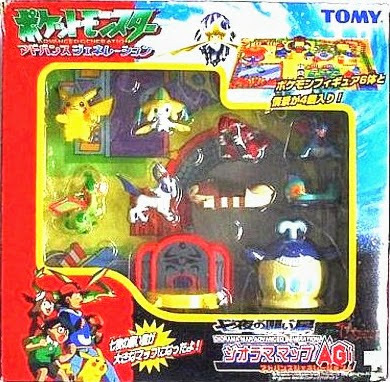 Battle Scene clear version in magazine Pokemon Fan Vol 40 attachment. 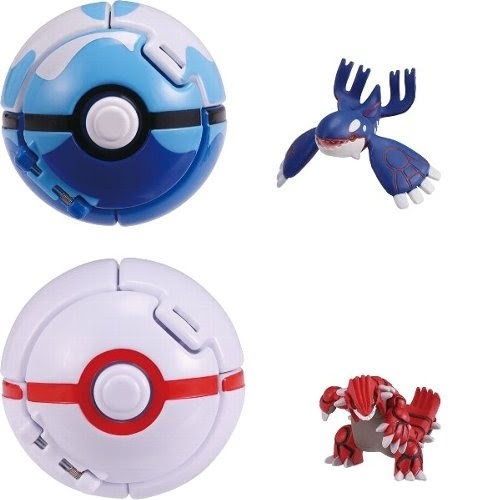 Matte paint in PokeDel-Z with Premium Ball, release on June 30 2018. 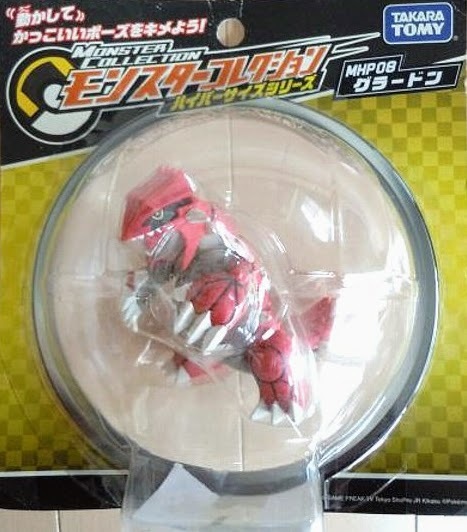 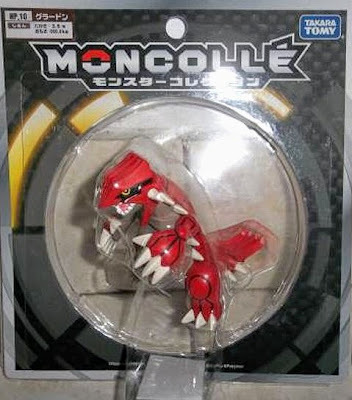 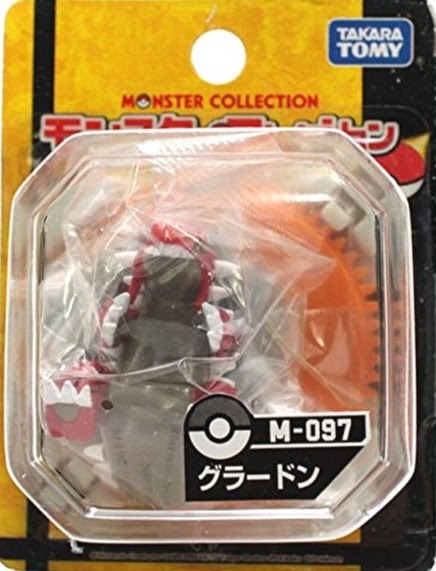 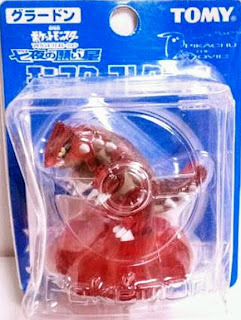 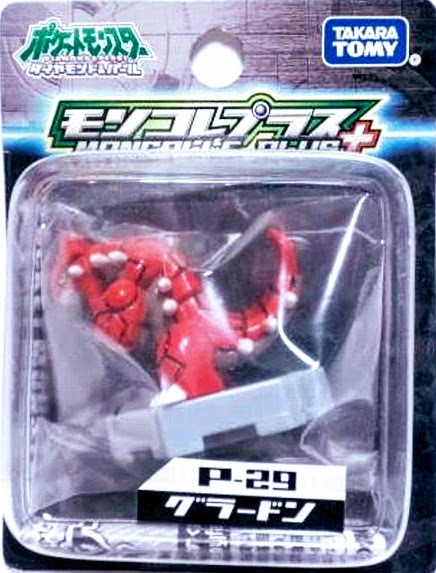 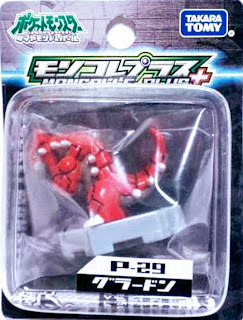 Primal Groudon figure in MONCOLLE HP series. 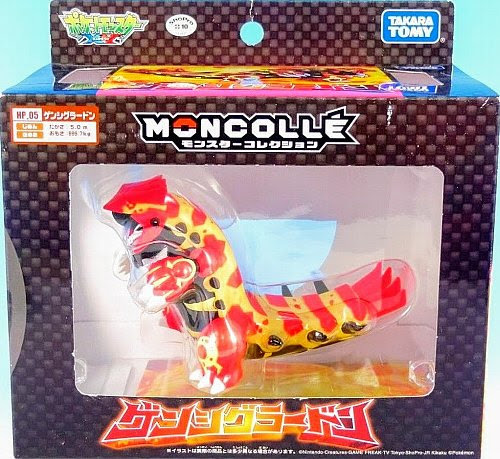 MONCOLLE EX series EHP_08 (seems MONCOLLE HP re-release) will come in May 2018, refer to Release News May-Aug 2018. 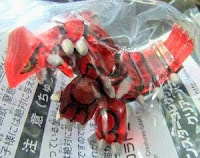 Figure & package images will be posted soon. Groudon in YJ Auction ?